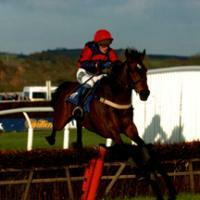 Sarah Robinson is National Hunt race horse trainer based in Somerset in the UK. 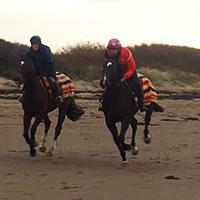 Visit the about page to learn more about Sarah Robinson, her training ethos and her yard. If you don't find all that you are looking for get in touch. Visitors are welcome with an appointment and Sarah is happy to talk to you in more depth on the phone or in person. Situated near Bridgwater, Somerset and easily accessible from the M5 junction 23, Newham Farm provides high quality stabling and all facilities required for the training of thoroughbreds, including Grass Gallops, a horse walker, and use as a school. Learn more about the high quality training and facilities at Newham Farm and also general information about fees and expenses by visiting our training and facilities page. Do you represent a company that would be interested in getting involved in the exciting world of horse racing? Sarah Robinson is so confident of her training skills that she is offering owners the chance to start their horses in training with her and receive a 10% discount on training fees for the first three months.